When we mention about eating satay in Melaka, first that come in to mind guaranty would be satay celup. But satay celup only available at night. 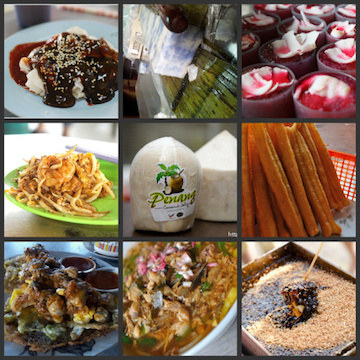 During the day time, there is another type of satay which worth the mention. The “PORK SATAY“. On our last week’s day trip down to Melaka, we had this for our high tea. The restaurant that sell this is Kedai Satay Xiang Ji. The place is very airy and the place they cook the satay are clean. The environment inside the restaurant is not smoky as the smoke exhaust are turned on all the time. The owner is cooking the satay. The pork innards satay ….. I don’t take innards so no idea what is that. Each stick cost RM0.60 and when you sit down, the satay will be served to you immediately without you need to order it. You pay after you finish eating. They count by the stick on your table. The peanut sauce is unlimited refill and you can help yourself on how much you want to refill at the designated area. They also provide you the ketupat and a plate of cucumber onion mix. Go early, so you can see them grill on the spot and serve the freshest to you. The sauce is a bit lacking though, but different from the usual ones cz they add pineapple/starfruit i think. But diluted. We go early …… so we got a clean set …. Now you made me feel like heading down to Pulau Tikus to have my sticks of the Nyonya Pork Satay. Surprisingly, the sauce served here contained blended sweet potatoes instead of the usual peanut sauce. Hmm.. which one is the authentic version? Sure you eat a lot!